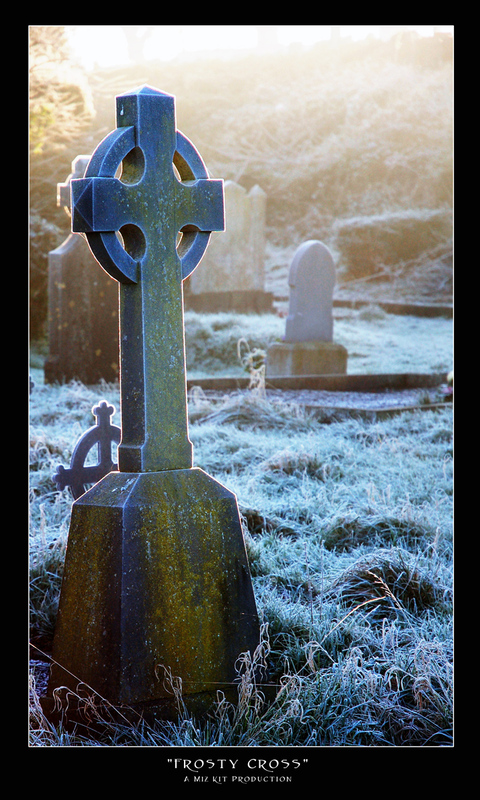 A rimfrosted Celtic cross glows in the sunrise. This photo is basically why I’m slow and reluctant to throw out old digital images. When I first looked at this, I didn’t think much of it, and put it away into a folder of things I wasn’t going to do any post-process on. Years and years later I opened it up again for some reason and went “Holy crap, that’s amazing,” and it’s ended up one of my favourite pictures. And sadly, is a very appropriate (if beautiful) image for things here in America this morning.